Sadie Black Glitter Slim Leg Jeans is rated 4.2 out of 5 by 13. Shimmer is a must-have addition to your wardrobe! 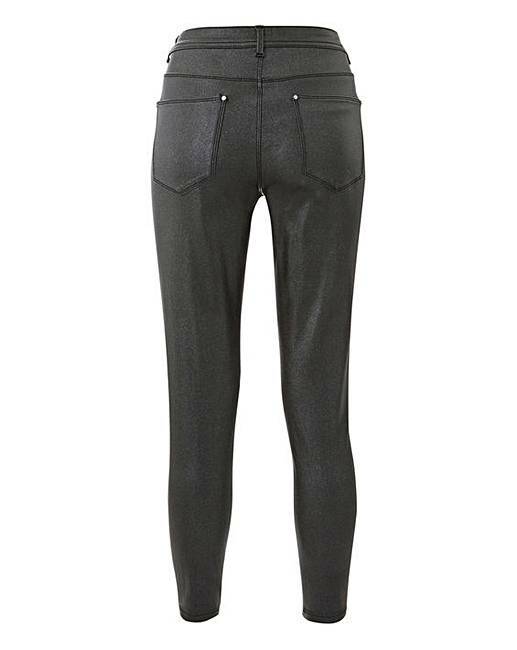 Our Sadie jeans, with the same great fit in a comfortable coated black glitter stretch fabric. Perfect for your next night out, pair with a smart blouse, heels and a clutch bag and you're ready to go! 75% Viscose, 23% Nylon, 2% Elastane. 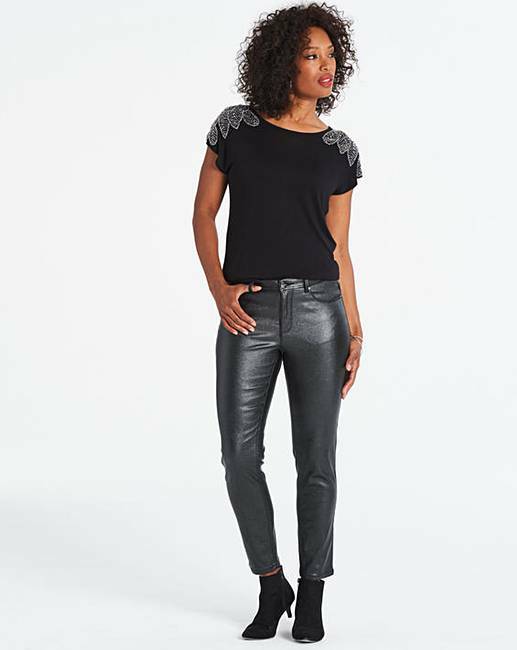 Rated 5 out of 5 by Roses from These are exactly what you pay for These are exactly what you pay for bang in trend and so comftable with a bit of glitz too . 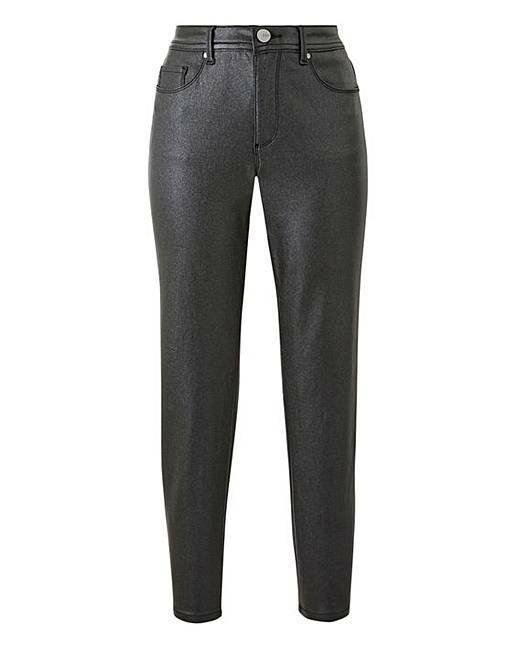 Rated 5 out of 5 by Sss from Great colour& fit Really great trousers for a night out. A little noisy when you move. Rated 5 out of 5 by BLACKKAT from Glittery & gorgeous!! Lovely jeans,gorgeous glittery sheen,comfy and figure hugging good!!! Rated 3 out of 5 by Caz from Returned Sorry,not for me.so had to return.Didnt feel comfortable. Rated 5 out of 5 by chuckles from Good look Very glam look very expensive but price good on my budget .